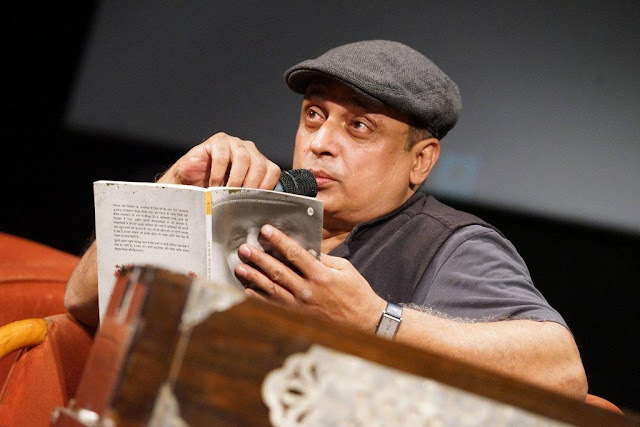 Mumbai, 10th February 2017: The auditorium resonated with one husky voice of veteran Piyush Mishra when he stood in front of a packed audience at Whistling Woods International (WWI), addressing the students as part of the 5th Veda sessions. He enthralled the students with songs written by him like ‘Husna’ while playing the harmonium. He shared harrowing stories from his childhood days. The madness that inspired him to sing, to play harmonium, to learn sitar, to go on stage and perform and so on. 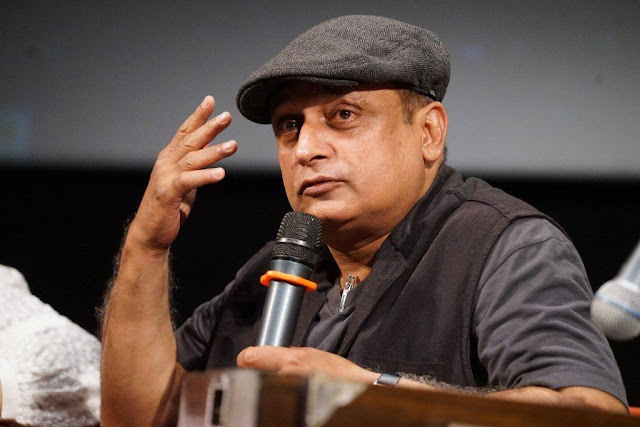 This was the method adopted by multi-talented Piyush Mishra, who received acclamation and accolades for his performance of a prosecutor in the film, ‘PINK’ opposite Amitabh Bachchan. Mishra also shared how he would reach a film set well before time while shooting with the legendary actor, since he had heard about how the latter is strictly punctual when it came to arriving on film sets. The renowned actor also revealed he could have been a better star of the country if he was not suffering with his inner Ego in his early days of career. He confessed he has come of that and repents the negative habits & attitude.The session took a poetic turn when the acclaimed actor recited a few impactful lines from a couple of his famous poems, leaving everybody in attendance enthralled.He further added “Nobody inspires anyone to act; the inspiration should come from within. 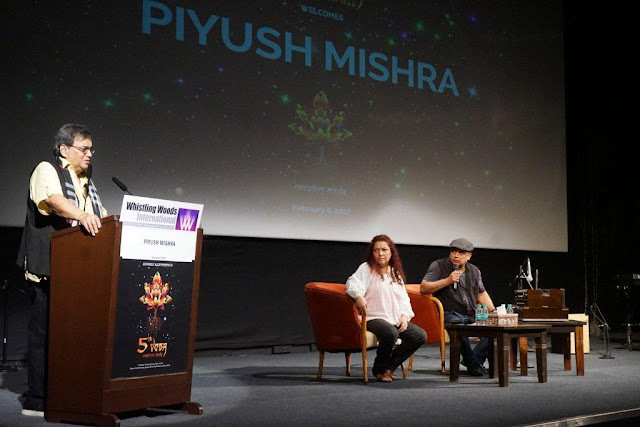 I think I am blessed as a creative person, and that is how I got things right as an actor, singer, writer, poet, and a screenwriter.” The highlight of the evening was Piyush’s performance of his famous song ‘Aarambh Hai Prachand’ from the film Gulaal, for which he received a standing ovation.